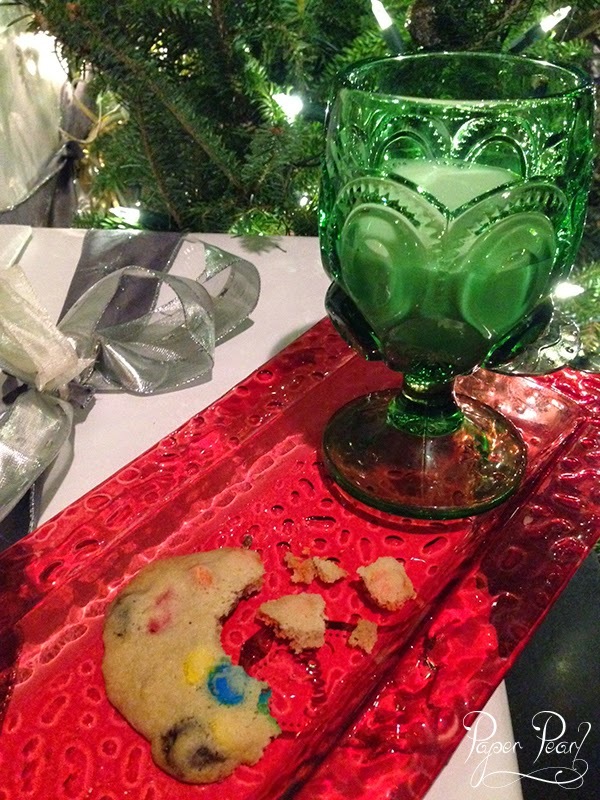 Santa comes tomorrow and I heard that he LOVES M&M cookies…so I’m here to help you and your kiddos create Santa’s favorite cookie. I also heard today that it takes him 34 milliseconds at each house. I’m not sure who calculated that, but he must need the sugar to keep going! That is a serious all-nighter. Preheat oven to 375. Beat sugars and butter in large bowl on medium speed until fluffy, about 5 minutes. Beat in vanilla and eggs; beat in flour, salt and baking soda on low speed. Stir in candies. Drop dough by teaspoon about 2 inches apart onto engrossed cookie sheet. Flatten slightly with a fork. Bake until edges are light brown, 8 to 11 minutes. Let stand 3-4 minutes before removing from cookie sheet.